AMID the silent crowd, a voice of a yearning woman echoes. She is a mother conversing with her children to reconcile their shattered relationship with their patriarch before his pending demise. Meanwhile, another woman cries out her desire to achieve the totality of herself; a pressured teenage boy wavers on the expectations of his sister and his lover; a confused and fearful student pursues her forbidden love with her professor. They are all plagued with fear, skepticism, and varying perspectives of their fate; of being either comfortable with whatever the stars have to offer or standing strong and taking control of their future. 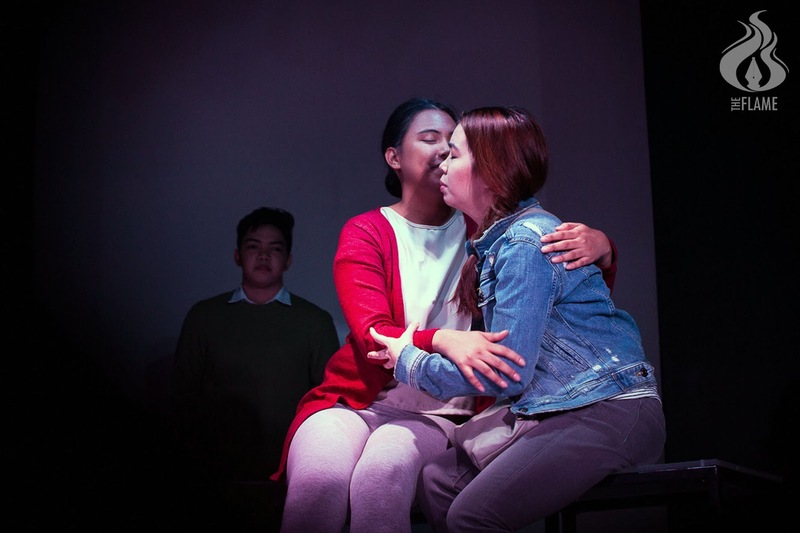 Teatro Tomasino’s production, Agnoia, was written by acclaimed playwright, Liza Magtoto, and directed by Lendro Enore. The story was inspired by Horoscope, a short story by Eli Rueda Guleb III. Agnoia revolves around the lives of 11 people who represent each of the zodiac signs; all characters are connected in a complex web of relationships, allowing them to interact and discover each other’s attitudes and behaviors. While many of them believe that the cosmic forces influence fate and future, they are confronted with critical life events and difficult choices to make: to follow the stars or defy its prowess. Resembling the constellations, Agnoia exhibits a creative and atypical preface. Their complex blocking with several transitions alludes to how the stars create various patterns in the sky and how they seem to shift positions. Despite the complexity of the blocking, no errors and faults are observable; this allows the viewers to become more fascinated with and enthusiastic about the scenes. Starting with a subtle first scene, the audience may initially feel the empty vibe of the play accentuated by the minimal stage design. However, when the first two characters start to talk about their discordant beliefs on fate, a clash between science and astrology unravels the hidden wonders of the play. Maintaining its placid and smooth transitions, the play’s objective of personifying the abstract identities of the stars starts to become apparent. This takes form through the characters, such as in the scene when the mother and her children begin to throw dialogues depicting the characteristics of their respective zodiac signs. 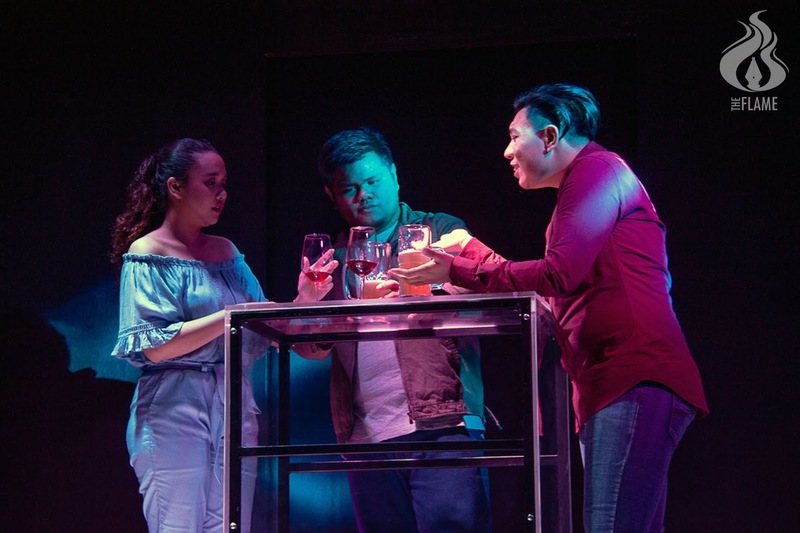 As the play progresses, Agnoia presents a consistent delivery of how the intricate connection among all the characters symbolizes the interplay of their signs and the stars’ role in determining one’s destiny. Approaching the climax, a compelling scene where the mother laments her husband’s demise signals how, despite the verbose dialogues on astrology, Agnoia calls for liberating oneself from the state of ignorance or “agnoia” by claiming the wheel of life. Agnoia presents a complicated narrative for it does not focus on one storyline but explores several relationships that branch out from the family’s story. Albeit complicated, the production manages to handle possible problems through smooth transitions and proper introduction of new characters. The play’s good lighting enhances the overall mood, especially during the scene where the mother went to visit her husband in the cemetery; with her heartfelt line delivery and appropriate illumination, the production achieves a monumental scene despite having a simple set and materials. Agnoia tackles a wide array of themes such as love, identity, family, and fate, and examines life through identifiable life situations that viewers can relate to. Just like the Scorpio and the Pisces characters, everyone fights for acceptance for who they truly are and for the chance to experience solitude through an independent journey in life.